Listen to tracks and the view lyrics. The name implies mysticism and ancientness, transformation and reverence. 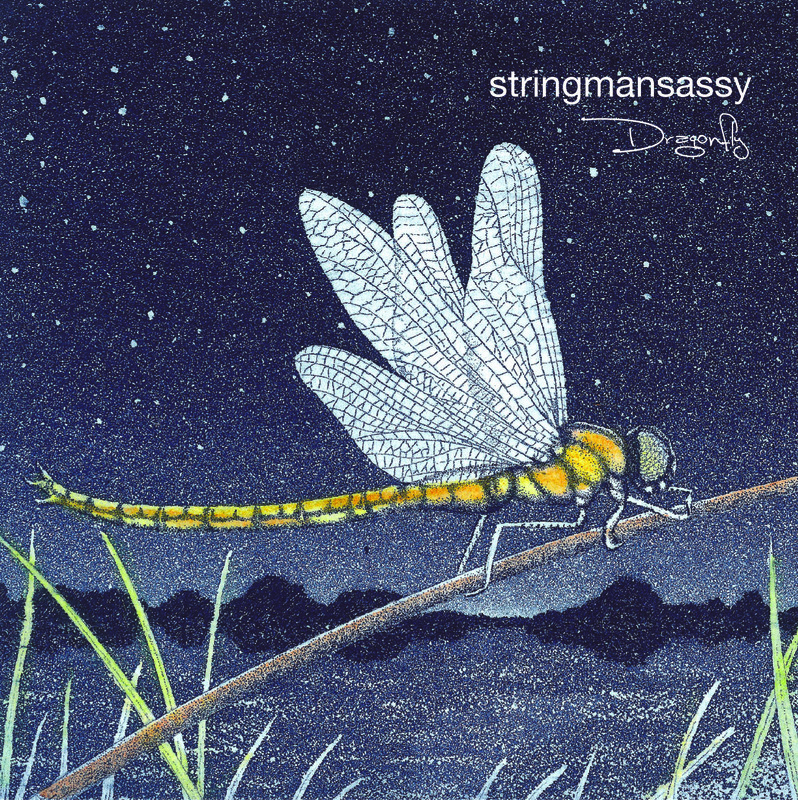 stringmansassy pay tribute to this most mythological of creatures through their CD Dragonfly. An evolution from their critically acclaimed 2003 release Beautiful Day, Dragonfly explores the human experience. It presents a new collection of original songs composed especially for the album, traversing the themes of friendship, love and love’s despair. Moving through a variety of moods, it explores the questions of life path and the choices faced when following your heart. Dragonfly also pays tribute to two extraordinary musicians; Sting and Australian guitarist John Malcolm. stringmansassy have always been remarkable arrangers of music and once again bring their magic to the covered songs ‘Fragile’ and ‘Too Many Lovers’. stringmansassy once again teamed with Producer and multi-instrumentalist Ben McCarthy (Pete Murray band/Kate Miller-Heidke band) to produce a CD of extraordinary beauty. Ben joined stringmansassy at pre-production and continued with them to the studio, recording Dragonfly in 2004 at the Jumpstart Studios, Brisbane Australia. Dragonfly was also mastered at Jumpstart by Dave Neil. Dragonfly captures the evolution of stringmansassy from a jazz/folk duo to the successful world music artists they have become. The songs are emotive and transporting. The music they create is important and socially relevant and as musicians before them, stringmansassy have become social commentators. Speaking from the heart, they express their hopes for the earth, for humanity and for the future through their music. Dragonfly presents a musical experience that allows us to feel profoundly and it encourages us all to discover our creativity and to love, cherish and nurture it within ourselves. This album cements stringmansassy’s reputation as one of the finest and most remarkable performance duos in the Australian music scene.